Kathi Anderson-Moore is a licensed, full-service Realtor and Property Manager, providing outstanding service for tenants, landlords, homebuyers, and sellers. Enthusiastic and caring, Kathi is well-versed in multiple aspects of real estate and has a well-deserved reputation for providing the highest levels of client satisfaction. In addition to finding dream tenants for landlords and ideal homes for renters, Kathi’s heavily networked presence in the community allows her to offer unique opportunities and exclusive resources to homebuyers and sellers. Outside her passion for real estate, Kathi’s diverse interests spark interactions with people from all walks of life. In her spare time, Kathi coaches soccer, sits on the Board of County Commissioners, and employs her US Coast Guard Captain’s License to explore Citrus County’s spectacular waterways. 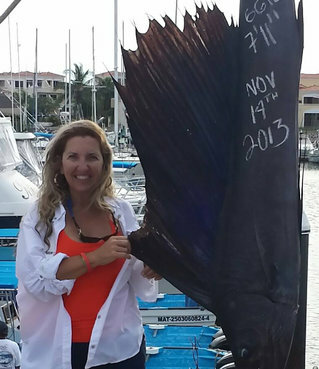 As a native Floridian, Kathi was drawn to the Nature Coast by her love of boating, fishing, and scalloping. She proudly educates prospective buyers and tenants on all the benefits of living and vacationing in Citrus County, as well as familiarizing them with our county’s stunning golf courses, world famous manatees, and year-round water sports. 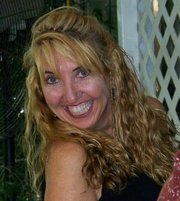 Kathi believes the Nature Coast is very distinctive, and she fervently represents all it has to offer – from golf to Gulf! Kathi is proud to represent The Holloway Group, one of the most prestigious and reputable real estate firms in the county. She is happy to answer your property management questions, provide you with a free comparative market analysis to determine the current value of your property, or take you on a tour of available resale properties. You can reach Kathi at 352-442-3332 or at allcitrusrentals@gmail.com. She would love to chat with you, to discuss the many benefits of renting, selling, or buying a property in today’s market.